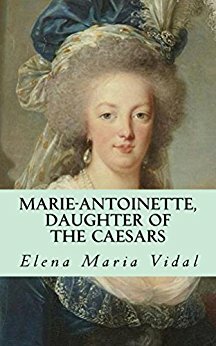 Synopsis: Marie-Antoinette, Daughter of the Caesars is about the life, death and legacy of Louis XVI's tragic Queen, based upon the author's thirty years of research. Whenever possible the historical persons speak for themselves out of memoirs and letters. Marie-Antoinette is seen in light of her Imperial heritage as a child of the Habsburg dynasty. Having assumed the crown of the Holy Roman Empire in the 1400’s, the crown which had originated with Charlemagne in the year 800, they were seen as the continuation of the Roman Empire of the West. The Habsburgs and their allies kept the Muslims from overrunning Europe at both the Battle of Lepanto in 1571 and at the battle of Vienna in 1683. The fall of Marie-Antoinette, as both Queen of France and the youngest daughter of the Imperial Family, is indicative of the end of Christian civilization and the birth of the secular state, which was the object of the French Revolution. Through her death, Marie-Antoinette has been dubbed “Martyred Queen of Christian Europe” for in killing her the revolutionaries also symbolically killed all that she represented, the ancient heritage of Christendom. My Review: Marie Antoinette is one of history’s most controversial queens. In this Catholic biography of Marie Antoinette, Mrs. Vidal states that by killing both Louis XVI and Marie Antoinette, the revolutionaries were killing the Catholic kingdom that they represented. This is because the goal of the French Revolution was to get rid of the Catholic church. The reason for this is because many Catholics were killed, especially those who were unwilling to convert. She also argues the popular misconceptions of Marie Antoinette that have been passed down for centuries and have been reinforced in Hollywood primarily the Marie Antoinette film starring Kirsten Dunst. Mrs. Vidal also overturned the popular misconceptions about Marie Antoinette’s friends, especially Princesse de Lamballe and the Duchesse de Polignac. The Princesse de Lamballe was one of the most intelligent people at Marie Antoinette’s court. She read a lot and was deeply involved in the politics of her time, which sometimes bored Marie Antoinette. She also had liberal leanings. Louis XVI feared Lamballe’s political influence on his wife so he steered her toward the Duchesse de Polignac, who had no inclination towards politics. The Duchesse de Polignac preferred simplicity and was a devoted mother to her children. She did not want to leave Marie Antoinette’s side during the French Revolution, but only did so when Marie Antoinette told her to think of her children. Throughout the Duchesse de Polignac’s days, she remained faithful to Marie Antoinette. When she learned of Marie Antoinette’s death, she died shortly thereafter because she was so heartbroken over her queen’s death. 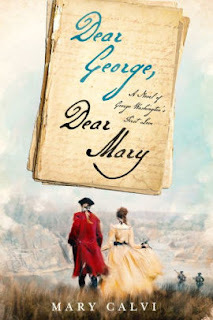 Overall, this was a very detailed and sympathetic biography of Marie Antoinette. I came away from this book knowing a great deal more about Marie Antoinette, her husband, and her friends. Marie Antoinette, Daughter of the Caesars was a bit dry at times and often went into too much detail about the religious aspects of Marie Antoinette’s life. Occasionally this made it difficult to understand. Still, this biography can be easily read by the general reader. While this is a Catholic-oriented biography on Marie Antoinette and often discusses religion, this book can be enjoyed by all Marie Antoinette enthusiasts. For those of you who love Marie Antoinette, Marie Antoinette, Daughter of the Caesars is not to be missed because it highlights Marie Antoinette’s goodness rather than her flaws. You will come away seeing a different side to Marie Antoinette that is completely opposite from the portrayal in Sofia Coppola’s Marie Antoinette. Thank you, my dear, for the favorable review! 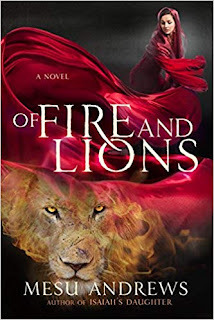 I am honored for my book to be included on your beautiful and erudite blog! Thank you. I greatly enjoyed it! It was very scholarly, and I learned more about Marie Antoinette.